For my second article for the blog of my friend Sherlock, I decided to write about three great photographs of the Earth seen from space. They enable us to see how our beautiful planet is tiny compared to the immensity of space and thus very fragile. This of course is a good drive to protect it. This combines my interests in both photography and environment, and it fulfills quite well the objectives of my articles there. The first photograph (above) was taken from the Moon in 1968 by the Apollo 8 mission. 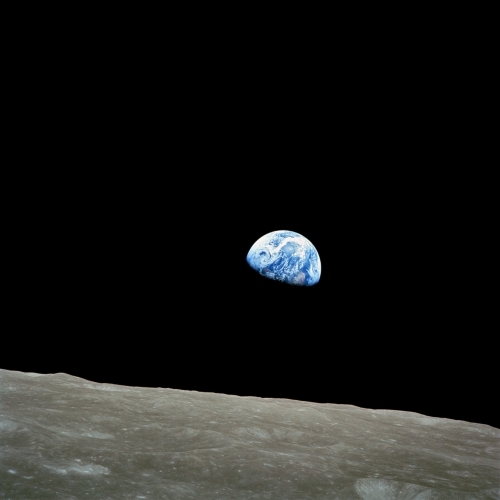 Earthrise is to me a magnificent picture as it enable us to witness a phenomenon we never see, the Earth rising, as we see in our homes the moon rising. 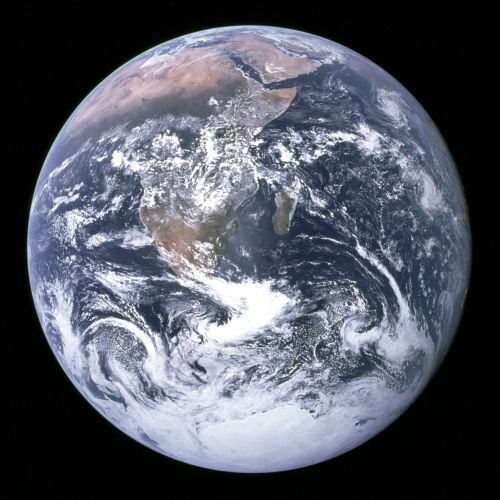 The second (right), The blue marble, was taken in 1972 by the Apollo 17 mission 24000 kilometers from Earth. This picture displays whole Africa and Antartica. It has been used many times, including for various NGOs tackling global warming and other causes. It is also one of the most widely distributed images of all time. 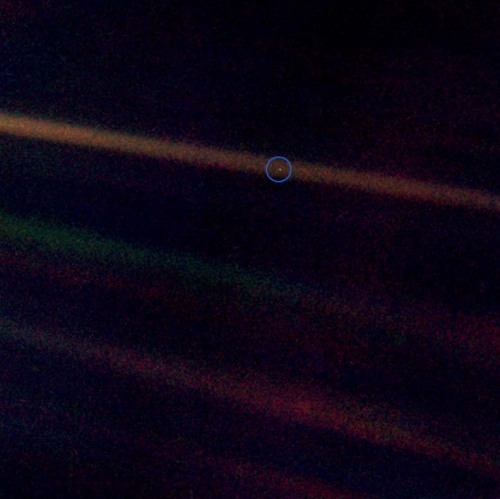 Third and final photo I decided to write about was A pale blue dot, taken in 1990 by the Voyager mission. It shows our planet as it appears from six billion kilometers. I think it is the most striking of the three. It enables us to see how small we are compared to the infinity of space. The little dot circled on picture on the right is the place we all are. Al Gore used this image in his film An inconvenient truth stating: “That’s all we’ve got”. Indeed, we have no other place to go. This is why we got to do all it takes to preserve it. To read my full article (in French), please go to Sherlock’s blog and have a look at his photographs as they are very nice and his articles are pretty interesting. You can also subscribe to his RSS feed. I hope you enjoyed this article and be sure more articles like this one will come. Pingback: Sustainable development and much more… » Welcome to the new version of the blog !